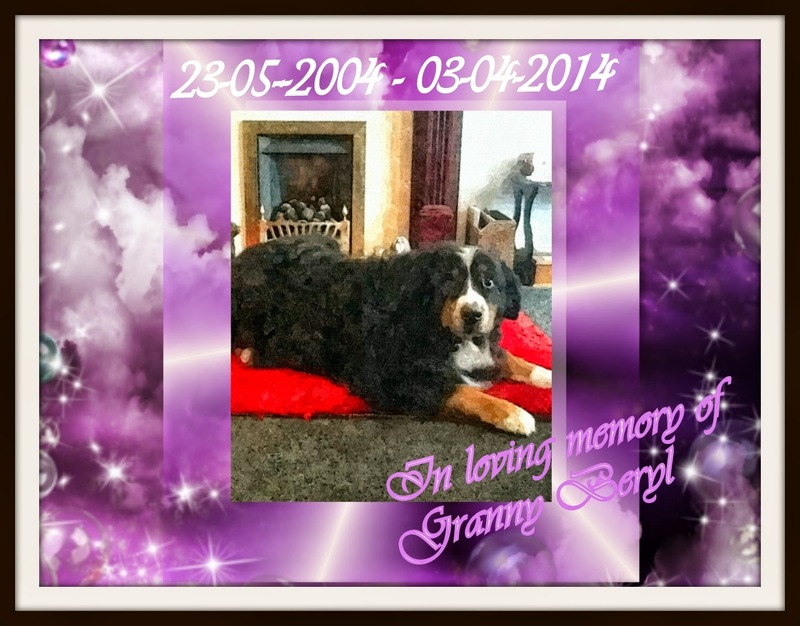 Another beautiful Berner has passed over the Rainbow Bridge, beautiful Beryl. Beryl had a wonderful life with her family, especially her mum Susan. She had lots of four-legged brother & sisters to look after too but in her last few months they took to looking after her instead. The Goblin took to her, asking if she could call her Granny, luckily Beryl said she would like that very much. Beryl was a very beautiful soul.